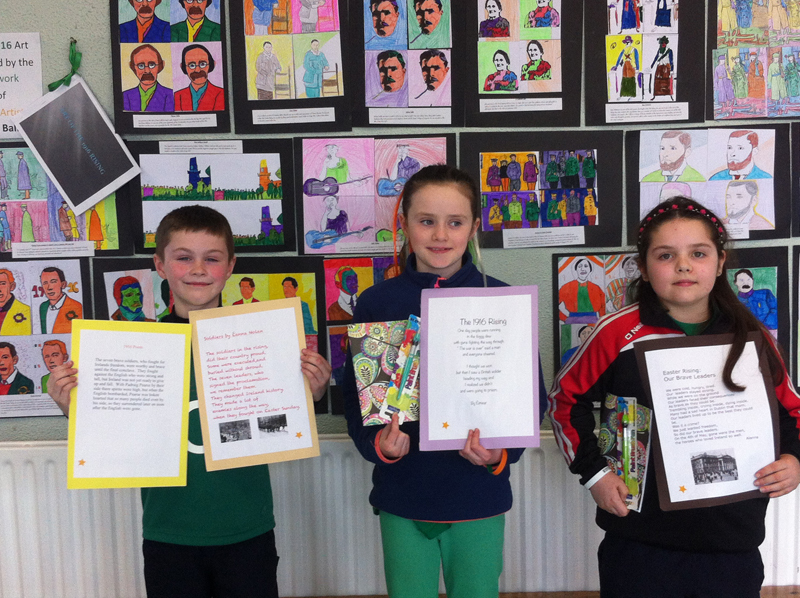 Gavin, Marissa and Taylor were the three prize winners for our 1916 art. 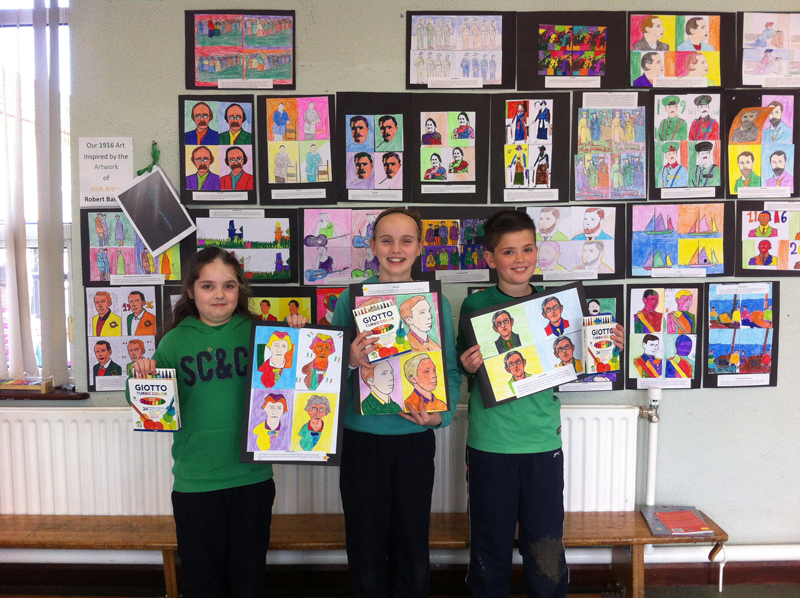 We created pictures of members of the rebellion in the style of Irish artist Robert Ballagh. 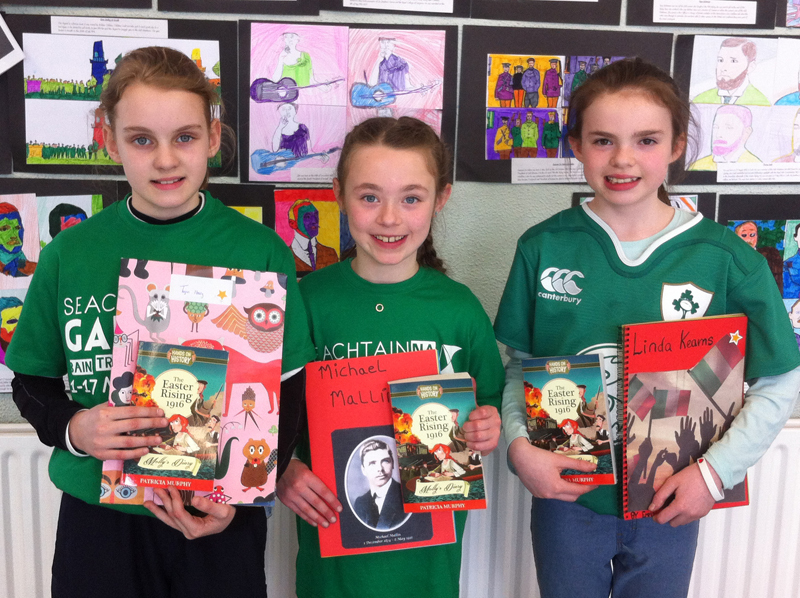 Here are our six winners with their winning 1916 projects and prizes. 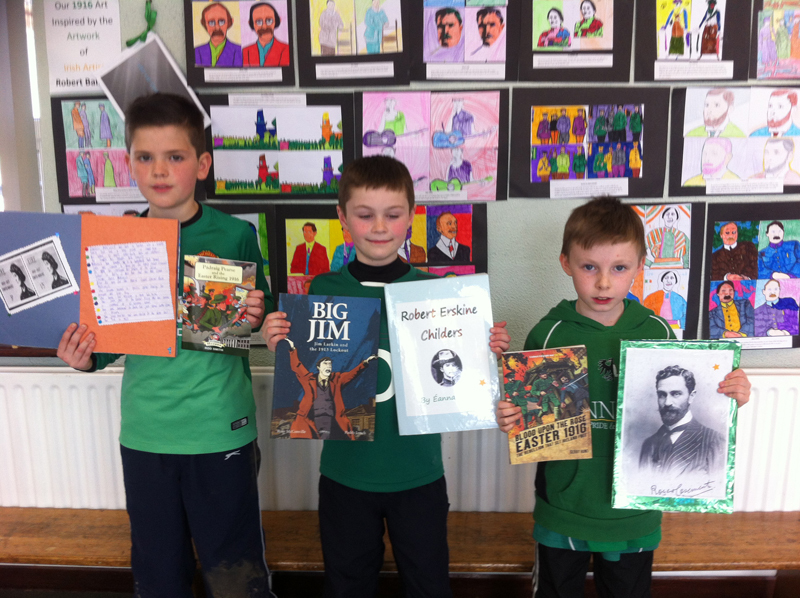 It was so difficult to choose, the standard of the projects was so high. 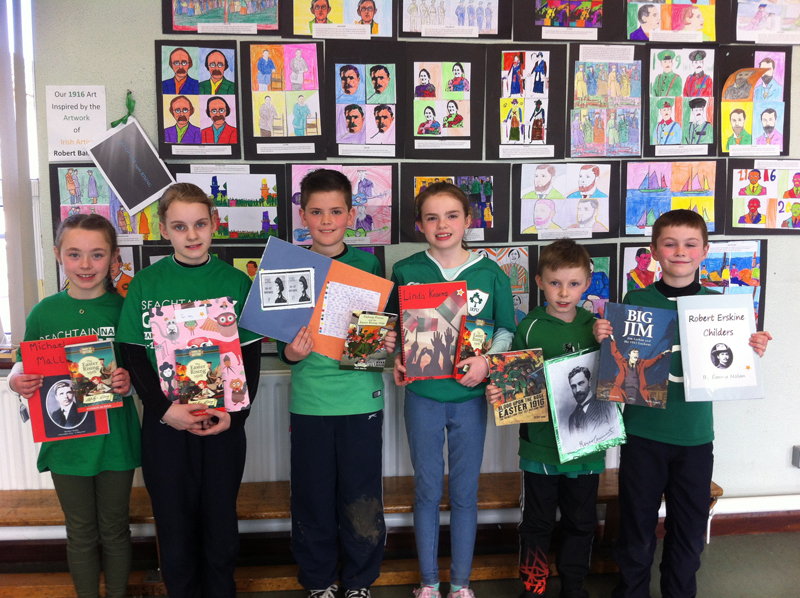 Projects on Michael Mallin, Eamonn De Valera, Countess Markeviez, Linda Kearns, Roger Casement and Erskine Childers were worthy winners; well researched, presented and so informative!